The irrevocable time on an offer – what does it mean? If you’re making an offer on a property, what time frame should you set? If you’re selling a property, how should you treat the irrevocable date on offers you receive? 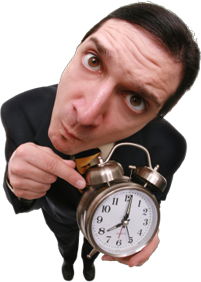 Should you state a requirement regarding irrevocable times in your listing? 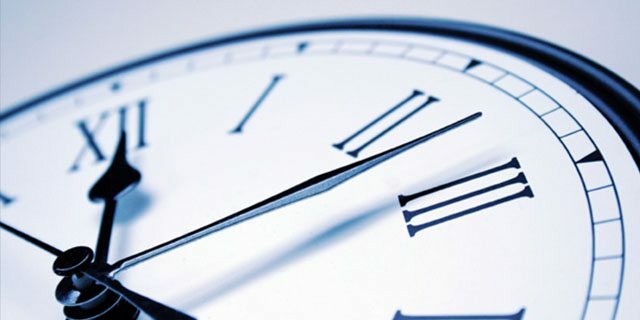 The irrevocable date and time on an Agreement of Purchase and Sale is one of the simplest terms, and yet is often misunderstood, misrepresented, or used ineffectively. Clients tend to defer to their agent’s advice regarding the irrevocable time, which means this lack of understanding is unfortunately the agent’s, rather than the client’s. Hey, I’ll give you $10 for your bike, and my offer is good and irrevocable by me until Friday at high noon, at which time I automatically withdraw it. This means until noon on Friday, if you want my $10 for your bike, you just have to accept my offer and I cannot get out of it. The fact that my offer is irrevocable makes it a commitment from me. The fact that it expires at a specified time means that if you want to take me up on it, you have to do so by then. If you call me at 1:00 p.m. on Friday and tell me you accept my offer, it’s too late. My offer has expired. Even though my offer expired, I still want to buy your bike for $10. I still want to buy your bike, but $10 was my limited time offer. I only want to pay $8 for it now. You wanted to sell me your bike, but you wanted $12 for it. Over the past two weeks, 3 different people have told you if you ever decide to sell your bike, let them know because they are interested in buying it. You don’t want to accept my offer until you’ve had time to figure out if one of them will pay more for it. Over the past two weeks, I’ve bumped into 2 people who told me they would love to buy your bike, so I made you a limited time offer to scoop it before they get a chance. If I still want to buy your bike for $10, I can either renew my offer by telling you I’m extending the timeline, or I can submit a new offer for $10 with a new timeline, or I can ask you to make me a counter offer for the same amount with a new timeline. If I still want to buy your bike, but am only willing to pay $8 for it, I can either modify my offer by telling you my new price and giving you more time, I can make you a new offer for $8 with a new timeline, or I can suggest you make me a counter offer with a new timeline. I can let you know what price I’d be willing to accept, or I can wait and see what price you counter with and go from there. If you think my $10 is not high enough, and my offer has expired (that was the premise), you can make me a new offer to sell your bike to me for $12 with a new timeline. We’ll set the more the more complex scenarios (4 and 5) aside for now. How could these first 3 cause any grief? This offer shall be irrevocable by (insert buyer or seller) until (insert time of day) on the (insert date), after which time, if not accepted, this offer shall be null and void and the deposit shall be returned to the buyer in full without interest. They think that the recipient of the offer (usually the seller for an initial offer, though the same is true for offers or counter offers from a seller to a buyer) is obligated to respond to the offer by the irrevocable time. They believe that the language in this clause (this offer is null and void…) makes it impossible to keep any potential agreement alive once the irrevocable time has passed. Point #1 is patently false. The recipient of the offer has no obligation to respond, whatsoever. Agents get confused because our code of Ethics, which does form part of the Ontario regulations under the Real Estate and Business Broker’s Act that governs us, mandates our duty to present all offers to our client, received by us on their behalf, as expediently as possible. We also have a duty to treat all parties fairly and that includes communicating the status of offers to the “other” party. In other words, if I’m working for you as a seller, and I receive an offer from another agent for your property, I must get that to you as quickly as possible and I must keep the other agent informed. If you choose not to respond to the offer for whatever reason (the wisdom of this choice may be questionable, but that is another discussion; it is within your right to not respond) I will need to ensure that I tell the other agent I have presented the offer to you (proving it if necessary – perhaps by having you sign a form stating that you received the offer) and that you have elected not to respond. It’s the time period — or deadline– to make a decision, sign the necessary papers, and get it back to the party that’s asked for the decision to be made. So, for example, if the buyer makes an offer that is “irrevocable by the buyer until 9 PM” tonight, that means the seller has to either accept the offer by 9 PM or provide the prospective buyer with their counter-offer (which will likely set a new deadline) within that same 9 PM deadline. Not only do many agents not understand the clause, they even take the time to blog inaccurately about it! The clause is not a deadline by which the recipient must respond. It is a deadline on the current offer if the recipient wants to accept it as written. In the next section I’ll get to the real problem – certain behaviours in the marketplace caused by agents who do not understand this basic clause. Point #2 is also false, while giving the appearance of being true. The clause does state that the offer is null and void after the time limit expires. But as we saw with the bike example, there are ways to continue working toward an agreement even though this offer, as written, has expired. We’ll assume for the balance of this topic that the initial offer is made from the buyer to the seller. The buyer could strike out the irrevocable time and enter a new time, and send it to the seller. This effectively extends his original offer, though technically, it is a new offer because the original offer became null and void. The seller could strike out various terms of the offer, write in terms more agreeable to himself, modify the irrevocable time and send it back to the buyer. Many agents worry that this is not valid because the original offer is null and void. They get confused between the semantic offer, represented on a piece of paper, and the mechanical offer: the piece of paper itself. Yes, the original offer is null and void, but after the Seller makes his changes, we have a piece of paper with different terms on it. This new semantic offer is either writeen on the original mechnical offer (piece of paper) with the original terms stricken out and new terms inserted, or perhaps it is written from a blank version of the template – this is both a new mechanical offer (piece of paper) and a new semantic offer. The difference between paper offers and electronic offers. Back in the days when we used paper for offers (many agents still do, believe it or not) there would be no way to tell that an offer had expired before being countered or extended. Striking and replacing terms on an offer, with initials of all parties in place to indicate agreement with the changes, offered no time-stamps on the changes. The final “piece of paper” would provide no clue that any irrevocable times had lapsed in the course of going back and forth between the buyer and seller during negotiations. With electronic signatures, every initial is time-stamped, and therefore it is possible to trace the precise timing of the responses to offers and counter offers. It is evident when an irrevocable time elapsed, the semantic offer died, and a new semantic offer was created by the changing of terms on the “piece of paper”. Perhaps one could argue that a new “piece of paper” is required when the irrevocable time elapses with evidence. My feeling is that any new semantic offer created by changing the terms in the document, with all parties initialling to indicate agreement with the new terms, including the irrevocable time, is a valid offer. We can ask a few lawyers their opinion on this one, but I find it hard to believe a Court would override evidence of agreement on final terms with evidence of lack of agreement on interim terms, regardless of the mechanical device, electronic or paper, used to convey the agreement. The return of deposit. The clause states that when the offer becomes null and void, the deposit is returned to the Buyer. What would the implications be if the deposit was in fact returned before one party or the other generates a new offer by modifying the mechanical instrument conveying the offer (i.e the “piece of paper” or the electronically signed offer)? I’m not sure. I’ll have to ask those same lawyer friends for their opinion on this point; however, in the vast majority of cases with real estate offers, deposits are provided “upon acceptance”, meaning that no deposit is in fact in play during the initial negotiation process. Of course, offers are not uncommonly provided “herewith”. My thinking is that the deposit terms would need to be changed to suit the mechanical and semantic changes made to the offer, to ensure consistency. I won’t cover this topic in this article. You now understand the irrvocability clause. The problem is that the little misunderstandings mentioned above lead to some disfunctional behaviours in the marketplace, and these behaviours can have a negative impact on your purchase or sale of real estate. In part two we’ll look at why these behaviours are dysfuntional, the intended and unintended consequences for buyers and sellers, and how you can deal with the scenarios that arise. At the end of the day, you want the best advice in these situations to help you generate the best result, whether you are the buyer or the seller. The key capability you should hire for when interviewing or selecting an agent to represent you, is critical thinking. Not necessarily how many homes they’ve “sold”. Maybe half of their clients would have paid less or sold for more with better advice. 1. Agents becoming aggravated when their client’s offer does not receive a response within the irrevocable time, causing their client undue stress and potentially negatively impacting their client’s negotiating position. 2. Agents advising their seller clients (primarily) to specify mandatory irrevocable times on incoming offers, not knowing what to do when other agents ignore these mandates, and jeopardizing their client’s negotiating position as a result. 3. Seller’s agents attempting to use mandatory irrevocable times on incoming offers to allow time for competing offers to arrive, rather than delaying the consideration of offers for a specified period of time. This very often leads to expedient behaviour by the seller’s agent and a lower sale price for the agent’s client (the seller). 4. Buyer’s agents (primarily) not knowing how to best serve their client making an offer on a property when the seller’s agent has advised the seller to impose a mandatory irrevocable time. See you in part 2. I’ll edit this post and provide a link to part 2 when it is published.